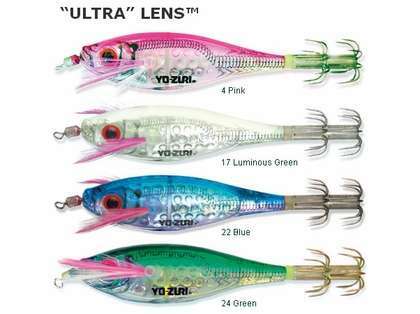 The Yo-Zuri Squid Jig Ultra Lens is perfectly balanced for a precise lifelike swimming action; these jigs prove irresistible to squid. Available in an array of colors. Used it for catching squid and work well. These jigs are on the light side. Don't sink quickly. Will need additional weight to go deep. Thus is amazing squid lure..
just up and down motion squit will stick to it.. I use 4 lure at the same time. I saw some people use 8 lure in one line. This was great on my last trip offshore. They caught plenty squid, and made my life that much easier. These jigs are just the ticket for squid, they out perform the imitations. These float, I can't find an instruction to rig it. Hello Stan. These can be tied directly to your line and fished that way. 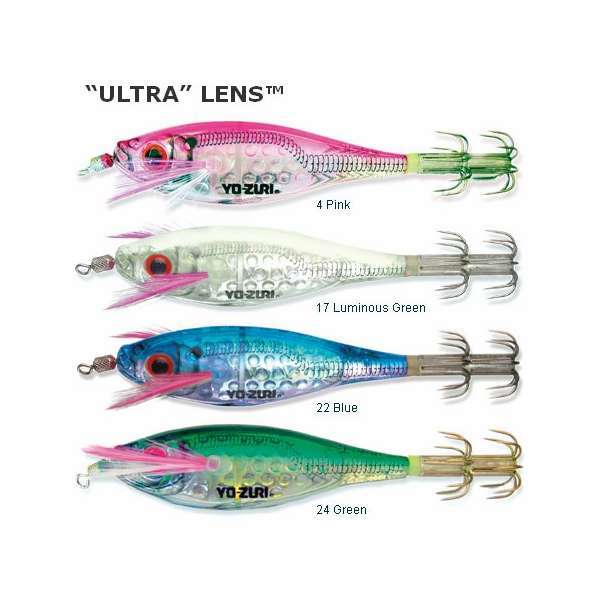 Is the price listed for all 4 jigs or is that the price for just one.? Price per jig, picture shows the different color options available. I feel the 3" will invite bigger fish ? Like they always say, Bigger Bait = Bigger Fish!